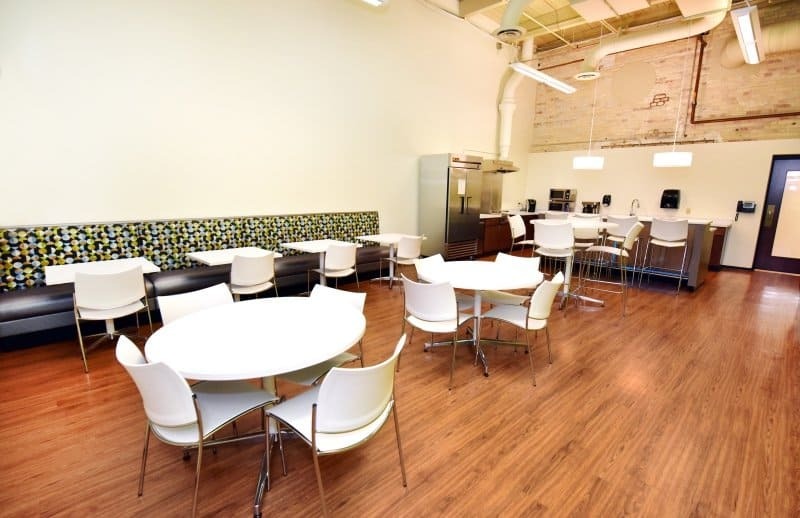 Choose employee break room furniture from Systems Furniture, Inc.
Café Style– Offer a variety of dining options including restaurant booths, café height tables and stools that invite employees to collaborate over a cup of coffee. 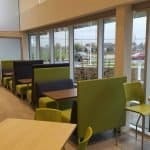 Systems Furniture can show you an array of products from Falcon and Surfaceworks. 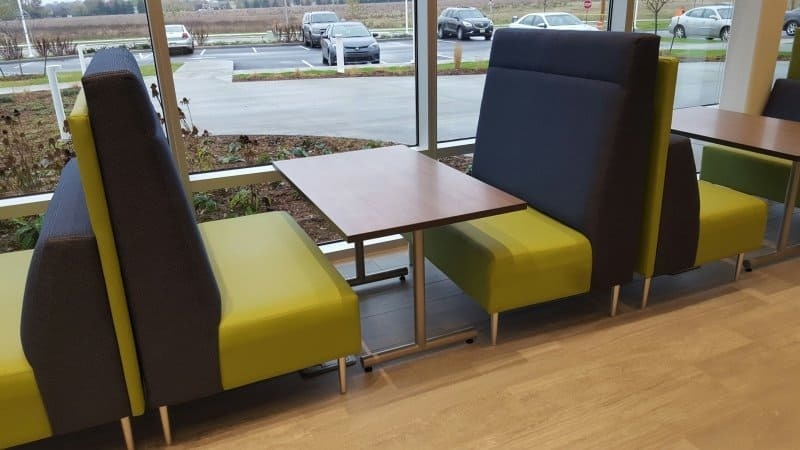 Lounge– Give employees a place to get out of their task chairs. 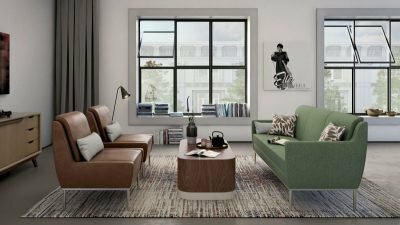 Lounge chairs and couches like Loewenstein’s Dess series create a relaxed mood that is perfect for a casual meeting or a private retreat for reading and thinking. 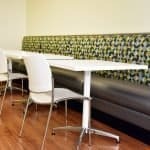 Contract office furniture manufacturers make sure that the construction and fabrics stand up to workweek usage. 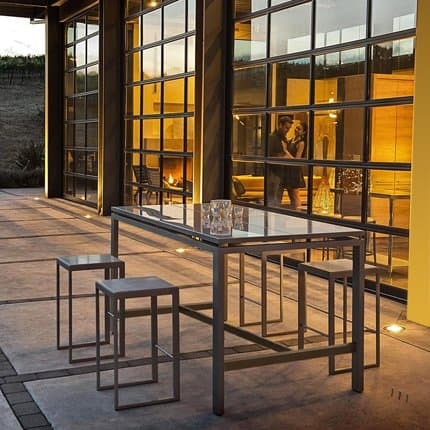 Outdoor– Summer may be a short season in Wisconsin, but that just makes the opportunity to take a break outside even more appealing. 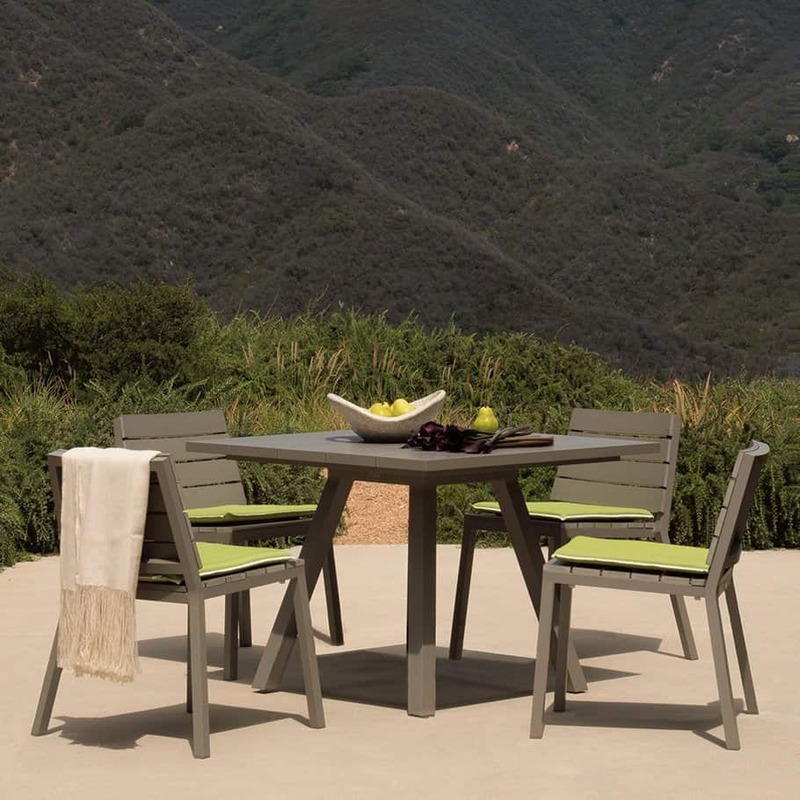 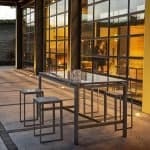 Outdoor dining tables and chairs like the Dolce Vita dining table from Janus et Cie, Landscape Form’s architecturally elegant Morrison table or playful Carousel table with attached seats all stand up to the weather. 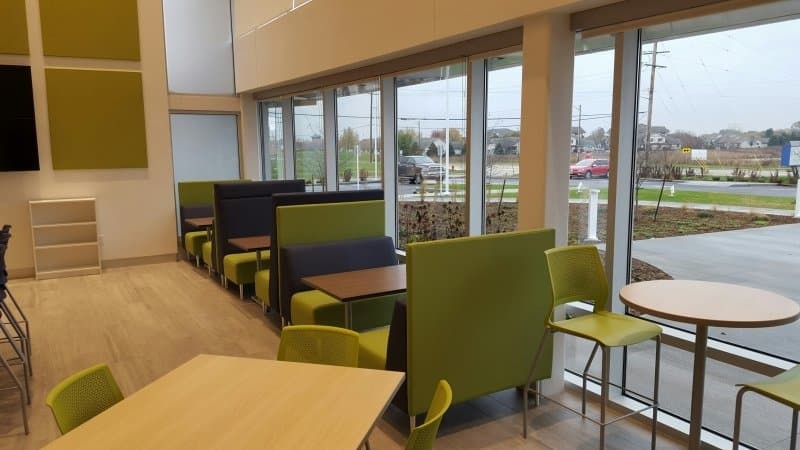 Relax, Systems Furniture’s interior designers and account managers bring ideas for your cafeteria or lounge that don’t stress your budget but do add to employee satisfaction. 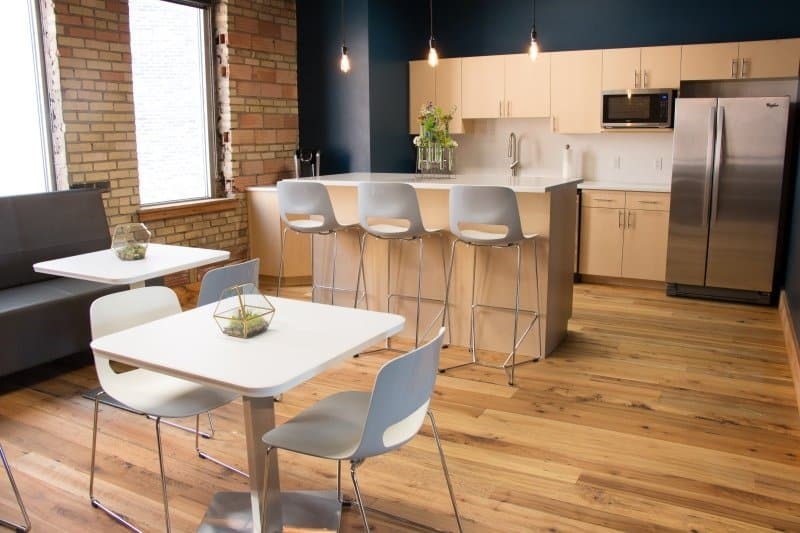 Our employee break room furniture options and design elements are ready for you in Green Bay, Appleton and Oshkosh as well as Sheboygan, Wausau and Eau Claire. 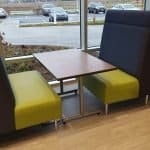 Our website, sysfurniture.com, introduces you to a range of possibilities from office furniture like the Knoll Multigeneration chair to an entire corporate office plan. 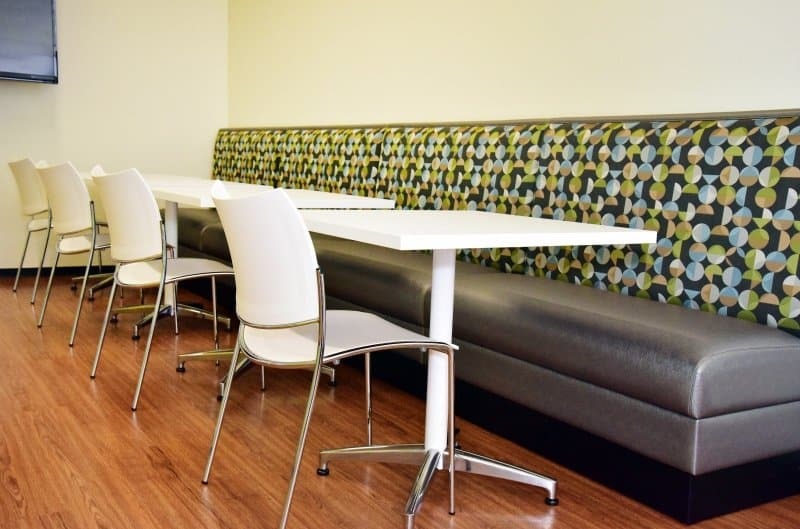 Give us a call at 920-336-1510 to start the stress-free conversation. 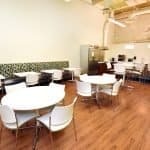 Previous Previous post: What creates a dynamic business meeting?